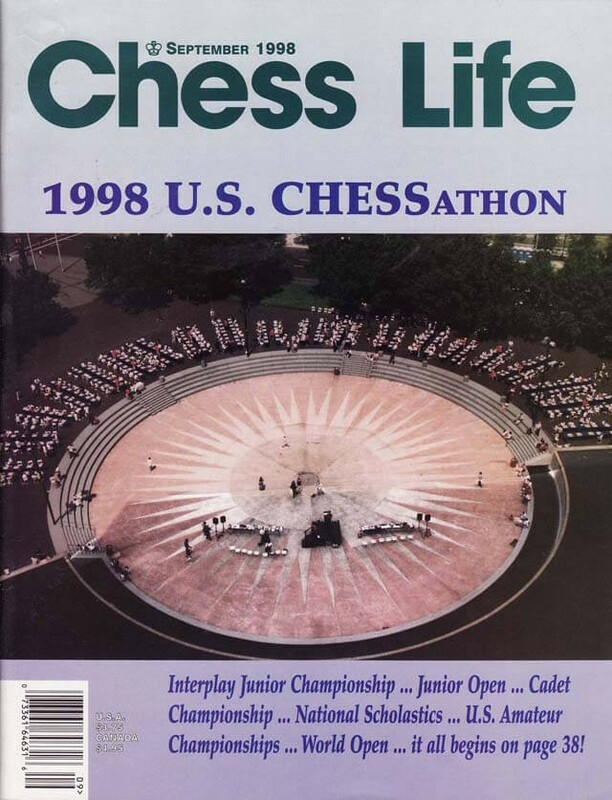 The September 1998 Issue of Chess Life Magazine features the 1998 U.S. Chessathon on the front cover. Inside there are also reports on the Interplay Junior Championship, the Junior Open, the Cadet Championship, National Scholastics, the U.S. Amateur Championships, and the World Open.